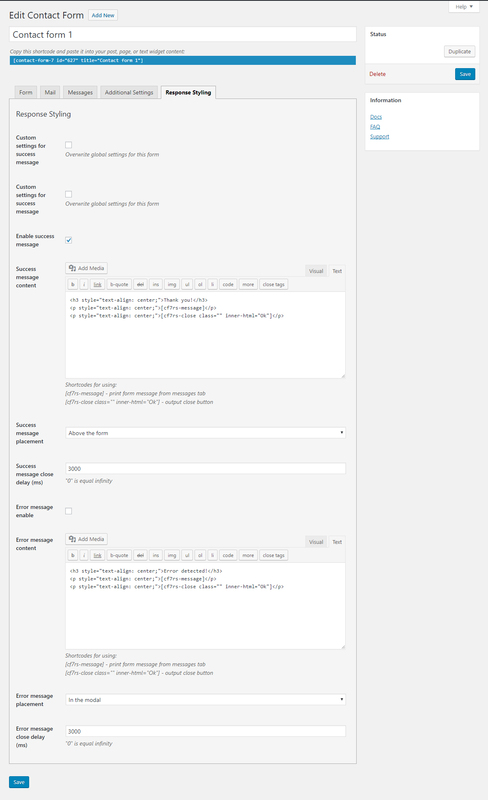 The main task of this plugin is changing form response view accordingly admin settings. 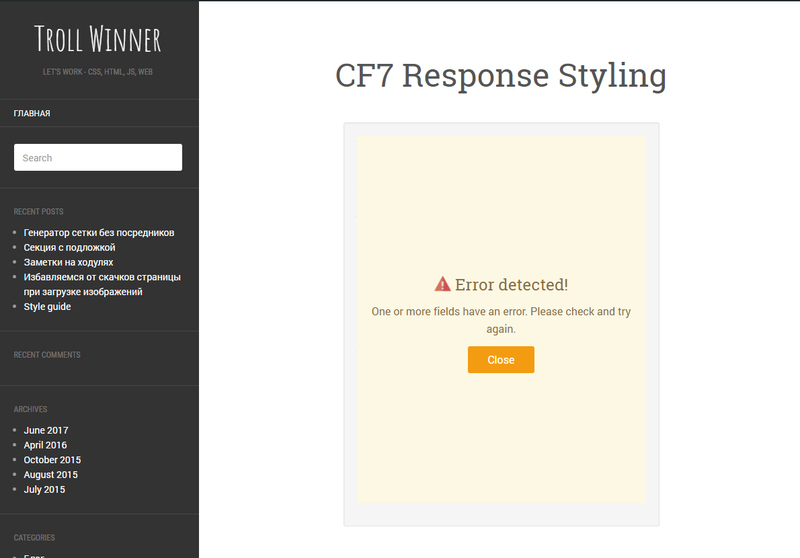 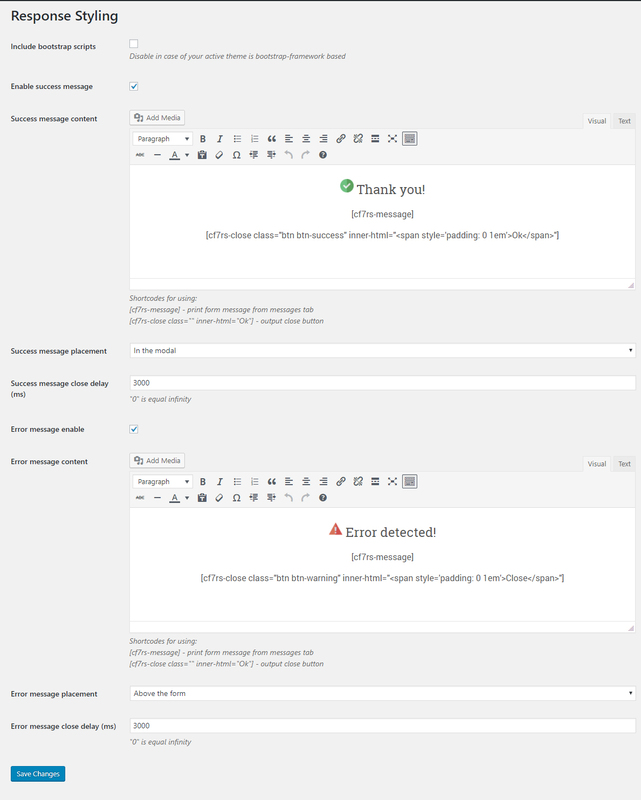 Replace default Contact Form 7 response message view by more informative and styled. 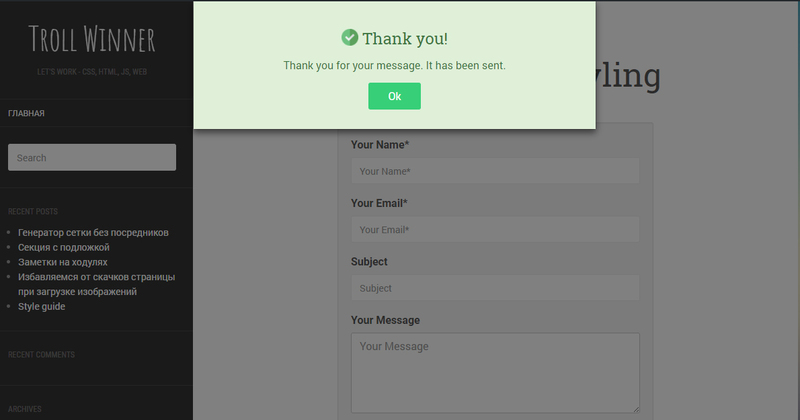 The message could be placed on above the form or in a modal.